I’ve long made it a practice to treat my Windows machines as if they have already been compromised. No, that’s not paranoia – that’s 30+ years of practical hands on computing experience. If there’s one thing that experience has taught me it’s this – I don’t know what I don’t know. More particularly – I don’t know if any/some/all of the applications (including the operating system), I run on these machines have critical security vulnerabilities that I’m unaware of. And, yet to be discovered critical security vulnerabilities have been, and continue to be, a constant. The Flame virus went undetected for two years by every online security firm. Sounds like good, practical advice – and it is. But as those of us involved in computer security know; this is advice that is not always followed. Some hold the view (including me), that it is rarely followed. 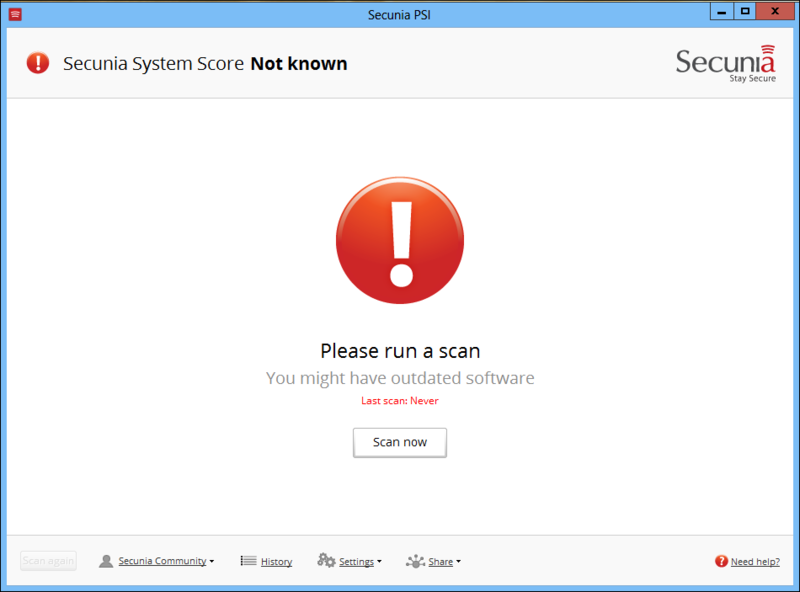 One particular application that I have reviewed and recommended a number of times – that assists users in keeping a system fully patched is – Secunia Personal Software Inspector (PSI) – which constantly monitors a system for insecure software installations. Secunia is justifiably proud of the fact that there are currently 5 Million users running this free protection application – but, from a personal perspective, I’m shocked at this low number. It should be 500 Million users! What is wrong with people that they fail to understand the advantages of ensuring that their system/applications are patched and up to date? There’s less reason now, than ever, to disregard the critical advice offered above. 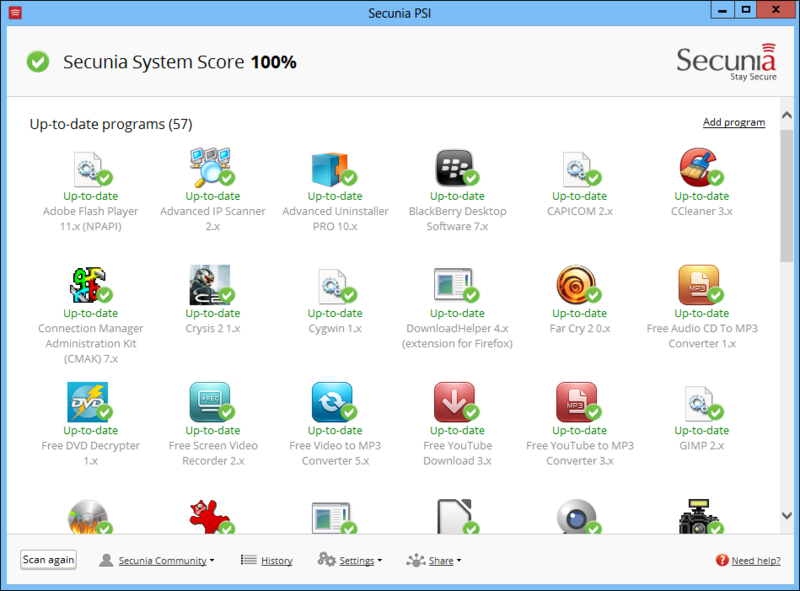 Today, Secunia launched version 3 of its free Personal Software Inspector (PSI), with a host of new features. PSI 3 with its dramatically simplified user interface and intuitive preferences, takes the burden out of updating and patching – and, most importantly, helps users safeguard their computer, and data, against cybercriminals. The new version makes patching software more comprehensive, automatic, and easier than ever. How simple is that? How simple is it? 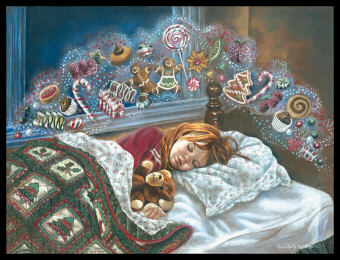 The following screen captures illustrate. On program launch a simple click on “Please run a scan” gets things moving. A full scan takes no more than a few minutes. In this test, PSI picked up one application that needed updating. You might think that VLC (VideoLAN), would be relatively safe from being manipulated by cyber criminals. Unfortunately, you’d be wrong. In July of last year VLC, when downloaded from other than the developer’s website, came bundled with malware. A reminder as to why it’s so important to download from the developer’s site, or a recognized download service. PSI automatically, and in the background, downloaded (from the official site) and installed the most recent version of VLC – raising the machine’s score from 98% to 100%. Simple User Interface – Dramatically simplified user interface displays the key information that users need to know: scan results, the security status of installed software, and when these programs are up-to-date. 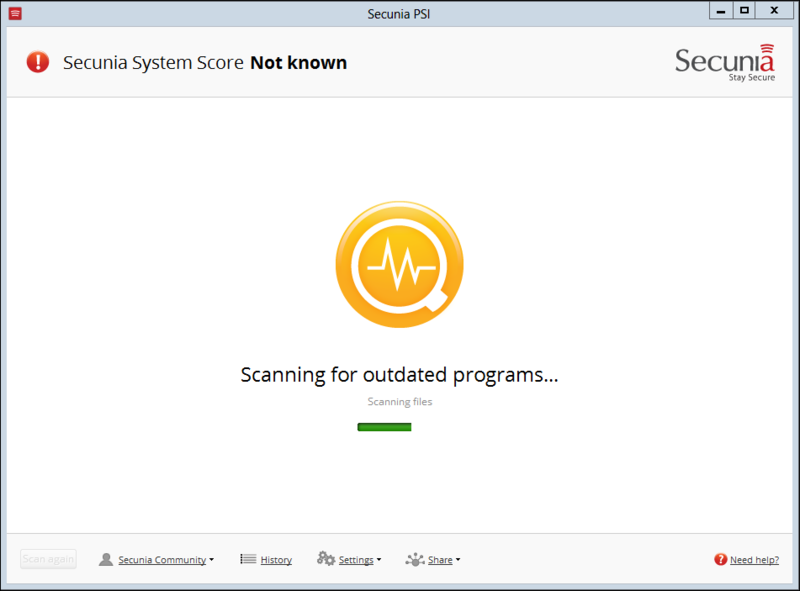 Automatic Patching – With the Secunia PSI 3.0, users receive automatic updates for all software supported by the application. Previously Secunia only provided automatic updates for vendors that made automatic updates available. Localization – The Secunia PSI 3.0 can be installed in any one of five languages including French, Spanish, German, Danish and English. Program Ignore Rules – Users have the ability to ignore updates to a particular program by creating ignore rules. This can, for example, be relevant if a user has an application that depends on an older version of another program or plug-in. Users may reverse this selection at any time. Users also have the ability to view the file location and version number of an installed program. History – Reports about the updates installed and scans conducted can be accessed at any time through the history feature. Share – A new share link allows users to post a link on Facebook or Twitter feeds, making it easy for friends to try out the Secunia PSI 3.0. 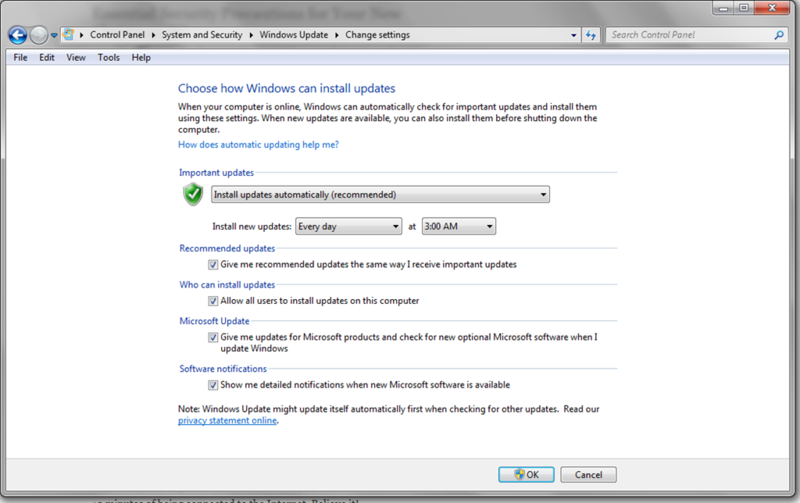 Settings – The settings menu allows users to select whether or not to install updates automatically, and which drives are to be scanned. System requirements: Windows 7, Vista SP 1 or later, XP – SP 3 (32 bit and 64 bit). Secunia PSI 3.0, by installing the latest security updates that a vendor of an application has released, offers a real solution which helps users avoid becoming a victim of a hacker exploiting vulnerabilities in installed software. Installing this free application should be a no-brainer. For all the critical “yeah, but” experts who troll the Internet – it’s undoubtedly true that no security application is perfect. However, used properly, PSI 3 adds another layer of effective security. One of the components included in this super suite is Time Freeze (recently released by the developer’s as a stand alone application) – a “one click simple” virtual system which, when active, virtualizes the operating system. In other words, a copy of the operating system is generated, and it’s within this “copy” – or sandbox, if you like – that all activity takes place. Keep in mind – the operating system is virtualized, only when Time Freeze is active. So, why bother running in a virtualized environment, you might wonder? The answer is pretty simple – in most circumstances, there’s no real benefit. In fact, running virtualized may create a slight time lag in system response. There are, of course, particular circumstances in which running a virtual machine offers major advantages – but, those circumstances (since I’ve covered this aspect numerous times in the past), are outside the scope of this review. Instead, I’ll focus on the security aspect of running in virtual mode with Time Freeze when connected to the Internet. And, there can be significant security benefits. Let’s assume, for example, that while surfing the Internet you fall victim to a drive-by download (more common than you might realize), while visiting an infected web site. Running in “real” mode would mean that you now have a significant problem on your hands. You can, if you like, believe that your AV application will protect you from the consequences – but, don’t count on it. The same scenario, while running in virtual mode, will have an entirely different outcome. Since, in virtual mode – it’s a copy of the operating system which is facing the Internet – all system and application changes are restricted to the virtual environment. In other words – it’s the copy which has been infected. Simply rebooting the system does away with the copy, and with it – the infection. 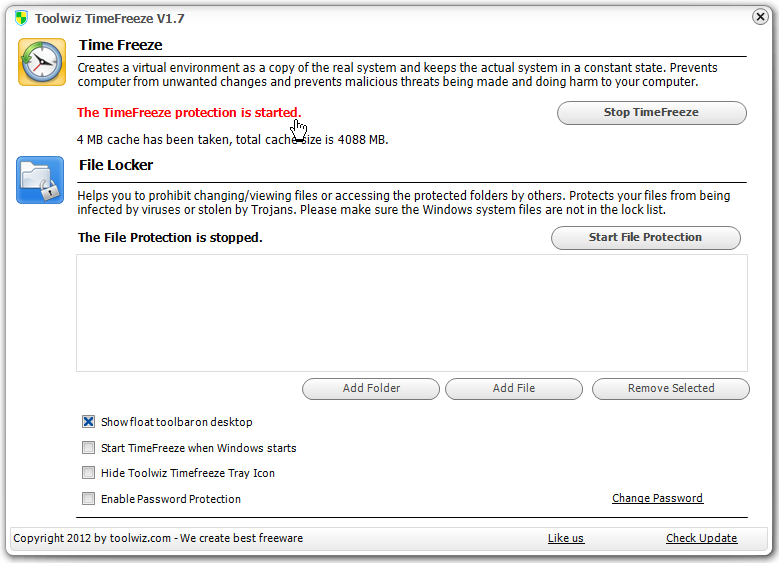 Toolwiz Time Freeze, of all the virtual solutions I’ve reviewed over the past few years, has to be the simplest. It’s easy to use, non intrusive, and after initial setup, requires a minimum of user intervention – perfect for the average user. Installation was hassle free – it was just a matter of following the on-screen instructions. 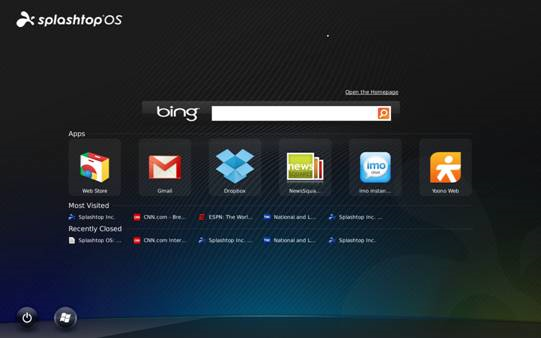 Since the application place a small toolbar (shown below), on the Desktop – launching the application is a snap. … and, you’re in business. Backing out of the application is equally as easy. At which time, you will have the option of saving any changes made to the system – or not. Not saving changes will require a reboot. Start up system protection. Prevents malicious threats being made and doing harm to your computer. It puts the actual system under protection and creates a virtual environment for system partition. Simply reboot to restore your system to the previous state. Don’t reboot to accept all the changes. It will take several minutes to save the changes to your real system. 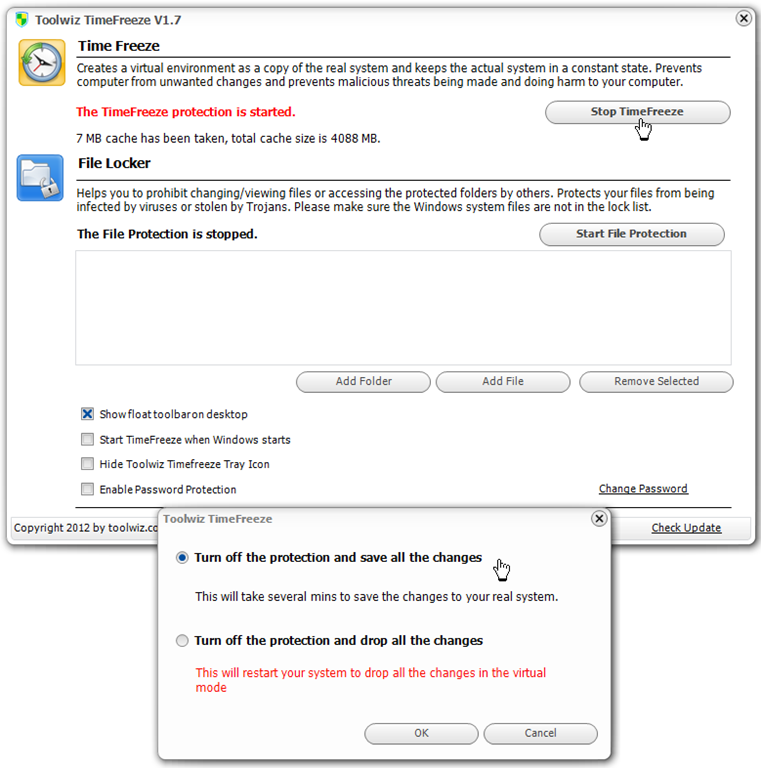 Folder Protection – Help you to prohibit the changing of files by others. Helps you to prohibit accessing the protected folders by others. 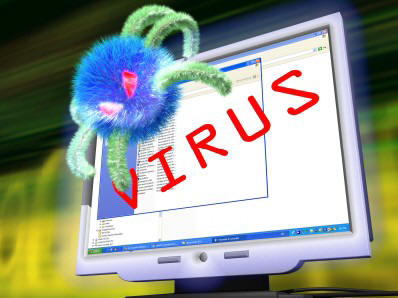 Protects your files from being infected by viruses or stolen by trojans. Very easy switch between virtual & real system. To enter virtual system, no need to reboot computer. To return to real system, just exit System Protection. A word of caution: There are no perfect solutions – this application will not protect you against rootkits. Developing safe surfing habits remains your best protection against malware infection. A further word of caution: Although I’ve had no difficult with this application, there have been reports of system crashes caused by Toolwiz Time Freeze. It’s always good practice to occasionally create a Restore Point – just in case. I was using Time Freeze pretty regularly to test software for review purposes. 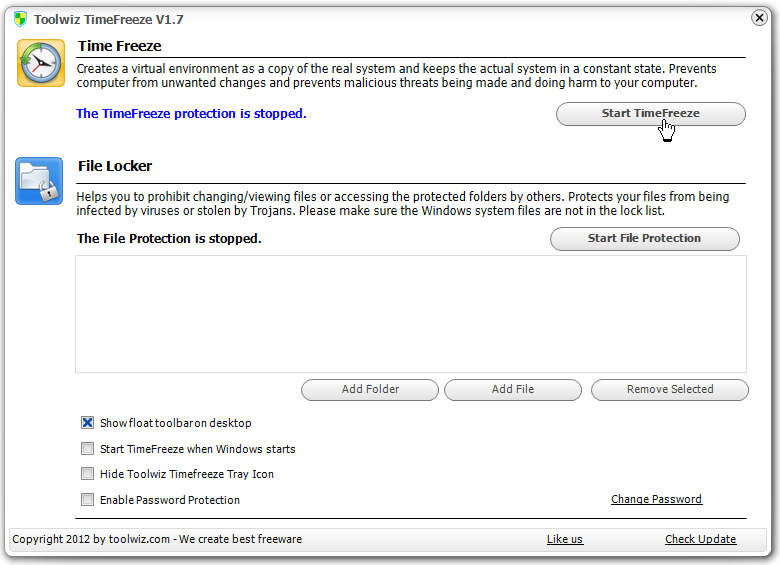 I actually stopped using Time Freeze because of persistent issues. Occasionally, after the reboot process, a random service would be stopped. It was no big deal, just go into Services and re-start whichever service had been affected. Then finally, after a reboot, the OS would not load at all. I tried everything to get the OS to boot but no go. I can only assume that this time an essential system service had been stopped. I ended up having to restore a recent image. So, you may be better off avoiding this application. 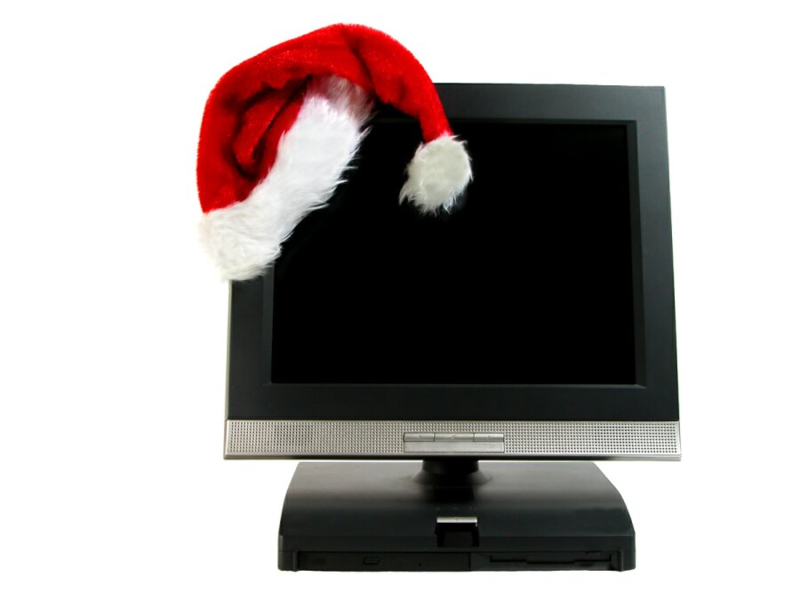 We are now officially in the “Holiday Season”, (the “Christmas Season”, to we traditionalists), so along with those visions of sugar plum fairies dancing in your head, you just might have visions of a super hot, quad core beast, that you can rip the wrapping off – after Santa has dropped down your chimney. So if you’ve been good this year, and Santa does drop off that new screaming machine, no doubt you’ll want to put it through its paces right away. But before you test drive this new machine, there are some fundamental precautions you need to take. Download and install all available patches, and service packs – if applicable, by connecting to Windows Update. Security Gurus will tell you that 50% of unpatched, and unprotected systems, will be infected with malicious code within 12 minutes of being connected to the Internet. Believe it! Windows 7 comes with a vastly improved Firewall – substantially better than in previous versions of the operating system. Still, many techies consider third party applications more effective. Comodo Firewall protects your system by defeating hackers and restricting unauthorized programs from accessing the Internet. I ran with this application for 18 months during a long term test, and I felt very secure. PC Tools Firewall Plus is my Firewall of choice. It installed easily, set up quickly, and did not caused any conflicts on my test machine despite my sometimes esoteric running requirements. The default settings are well thought out, and provide excellent protection for less experience users. ZoneAlarm’s default settings are well thought out, and provide excellent protection for less experience users particularly. Experienced users on the other hand, can tinker to their hearts content, customizing and tweaking the application to meet their specific requirements. There is no doubt that an unprotected computer will become infected by viruses and malware within minutes of first being connected to the Internet. There are many free versions of anti-virus software available, and the programs listed below have a well justified reputation. (Choose only one – although Immunet Protect will run successfully as a companion application). This anti-virus program offers comprehensive protection with an easy to use interface. In the time that I have been testing Avira I have been impressed with its performance, and I have come to rely on it as my primary anti-virus program on an XP Pro system. I highly recommend this one. 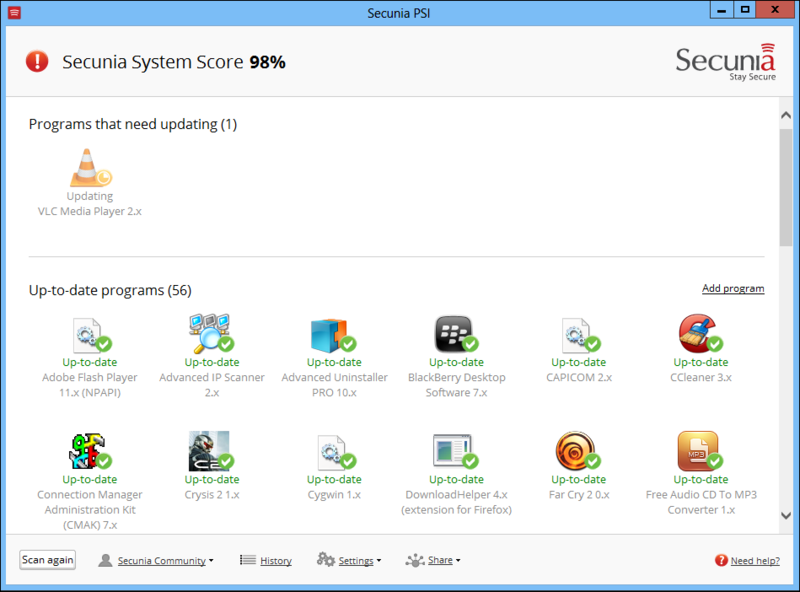 I’ve been testing the Beta version of Panda Cloud Antivirus since the end of April 2009, off and on, and I’ve been pleasantly surprised with it’s performance, particularly the light use of system resources. This application is definitely not a resource hog, and I found it outstanding at recognizing and blocking malware threats. Immunet Protect is a lightweight cloud based antivirus application, (available in both a free, and a fee version), designed to add a layer of protection while working in partnership with the most popular antimalware solutions. You’ll find Immunet straightforward to install, and easy to run without complication. Microsoft Security Essentials, which incorporates antivirus, antispyware and rootkit protection, all under one roof, was released by Microsoft as a free replacement application for Windows Live OneCare. Microsoft Security Essentials is easy to set up and run, particularly for new users. And, the interface is positively simple offering Quick Scan, Full Scan, or Custom Scan. 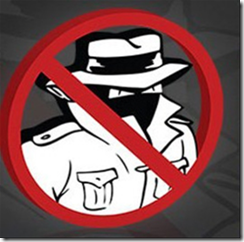 Spybot Search & Destroy can detect and remove a multitude of adware files and modules from your computer. Spybot also can clean program and Web-usage tracks from your system, which is especially useful if you share your computer. Modules chosen for removal can be sent directly to the included file shredder, ensuring complete elimination from your system. ThreatFire blocks mal-ware, including zero-day threats, by analyzing program behavior and it does a stellar job. Again, this is one of the security applications that forms part of my front line defenses. I have found it to have high success rate at blocking mal-ware based on analysis of behavior. I highly recommend this one! WOT is a free Internet Browser add-on which tests web sites you are visiting for spyware, spam, viruses, browser exploits, unreliable online shops, phishing, and online scams, helping you avoid unsafe web sites. SpywareBlaster prevents ActiveX-based spyware, adware, dialers, and browser hijackers from installing on your system by disabling the CLSIDs (a system used by software applications to identify a file or other item), of spyware ActiveX controls. As well, SpywareBlaster can block spyware/tracking cookies and restrict the actions of spyware/adware/tracking sites in Internet Explorer, Firefox, and other browsers. With WinPatrol, in your system tray, you can monitor system areas that are often changed by malicious programs. You can monitor your startup programs and services, cookies and current tasks. Should you need to, WinPatrol allows you to terminate processes and enable, or disable, startup programs. There are additional features that make WinPatrol a very powerful addition to your security applications. SpyShelter is an anti-keylogging, anti-spyware program that protects your data from Keylogging and spy programs: known, unknown, and under-development. It detects and blocks dangerous and malicious programs, to help ensure that your data cannot be stolen by cyber criminals. This list is not exhaustive by any means, but it is a good place to start. A final note: You may find that your new PC is loaded with preinstalled “trial” software. This is the type of thing that drives users buggy, since trying to figure out how to get rid of trialware is not as easy as it should be. But don’t fret. Current statistics indicate that over 95 percent of viruses, spyware, and other types of malware, are designed and targeted to attack Microsoft Windows. And, the route by which the majority of malware spreads, and intrusion attempts take place is the Internet Browser. It seems reasonable to make the point then, that if you’re not running Windows while surfing the Net, but instead, you’re running an alternative operating system, you shouldn’t have to unnecessarily worry about malware, viruses, and spyware. Regular readers might recall that I do most of my surfing using Linux; specifically Ubuntu. And yes, I’m aware of of all the counter arguments that surround this choice – “security through obscurity”, “Linux is built from the ground up with security in mind”, and on and on. None of the various contentious points of view really make much difference to me. The reality is straightforward – all statistics indicate that surfing with a non-Windows system can reduce the malware risks Windows users have to contend with. 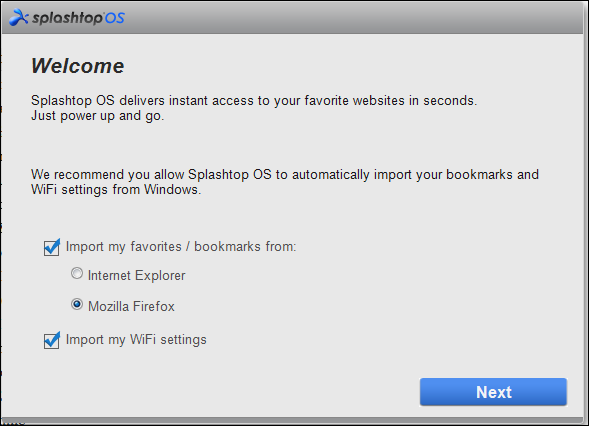 If you are leaning towards running an alternative to Windows, while interacting with the Net, then Splashtop OS, a Linux driven Web centric, (Chrome focused), specialty operating system (which coexists with Windows), and is close to “instant on”, – about 10 seconds to boot and reach the Net in my tests, is worth taking for a spin. Splashtop, (in beta currently), was initially designed to run on specific HP systems only, but it can now run on virtually any Windows system. 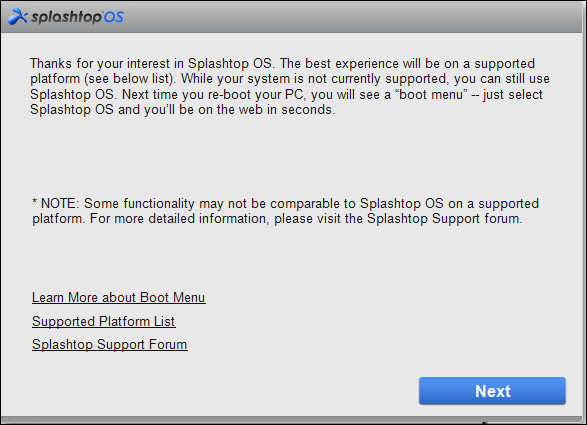 Following installation, (from within Windows), on subsequent boots you will have the opportunity to boot into Splashtop, or Windows, through a boot menu. Booting back into Windows once you’re in Splashtop, is “one click” simple. You won’t get lost during the install which is very straightforward. On completion of the install process, you will have an opportunity to gather additional information. and perform a number of setup tasks. The desktop is rather plain, but given that Splashtop has been designed as a Web centric OS, it’s still very functional. 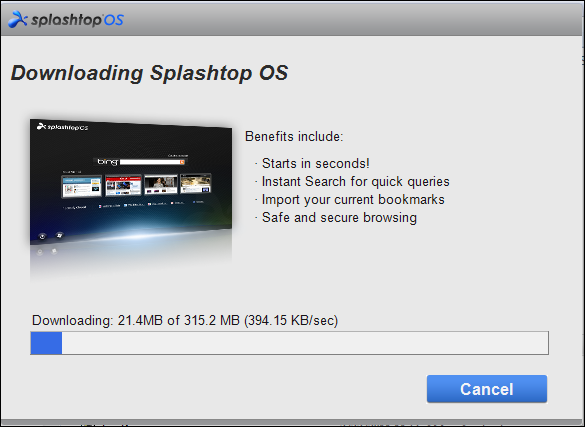 Running Splashtop will allow you to surf, and interact with the Internet as you normally would – including interacting with instant messaging, email, music, photos, documents, gaming, etc. And, it really is virtually “instant on”. 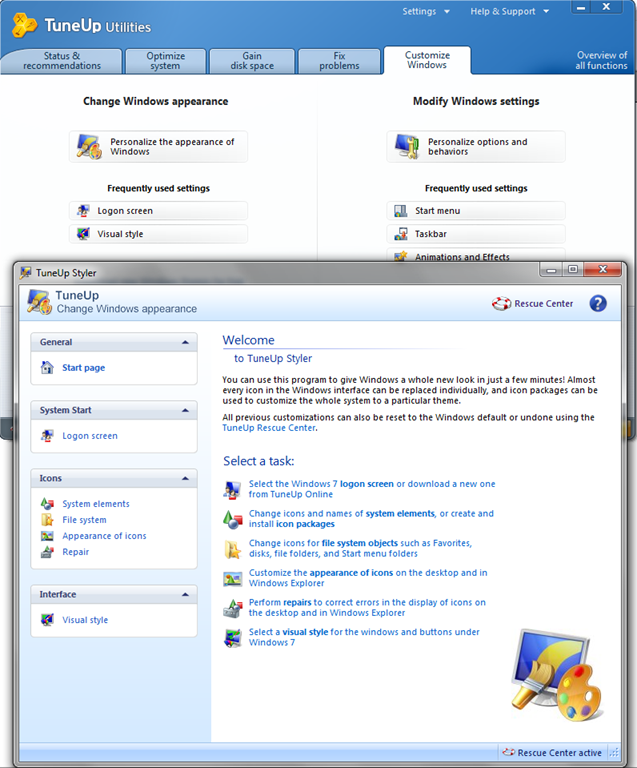 5 License Giveaway Of TuneUp Utilities 2011 – Two Days Left! Two Days Left! It’s not too late to get your entry in! 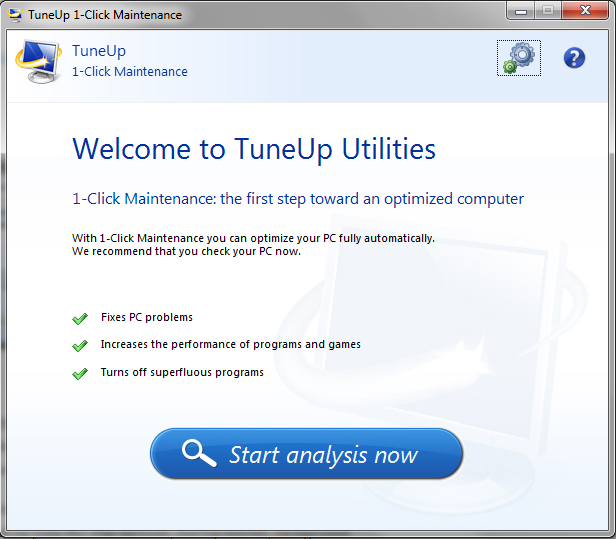 As part of Tech Thoughts “Keep your PC in top shape focus”, TuneUp Utilities has generously provided me with 5 free licenses for TuneUp Utilities 2011, (retail value 49.95). To enter the contest to win a free license, simply add a comment at the end of this article. On December 7, 2010, all comments will be added to the online List Randomizer, and the first 5 names that come up, will win a free license (installable on up to 3 PCs), for this award winning application. As with previous giveaways, you don’t need to write a paragraph – “enter me”, or something similar, is enough. There’s no need for me to acknowledge your entry, but rest assured, if you comment – you’re in. Read the following review, and I’m sure you’ll agree; this is a contest worth entering! If you’re an average PC user, I’m willing to wager that your computer underperforms. Getting the best out of your PC – getting what you paid for from that high powered beast, is more complex than it has ever been. Sure, if you are technically competent, you are likely aware of, and comfortable using, any number of free system tools readable available for download on the Internet – tools that can act as a helpmate in tweaking and maintaining computers. But, typical users need more than just a helpmate application to assist them in tweaking and maintaining their computers. Drilling down through complicated operating system structures to get maximum performance from an operating system, is generally outside the range of a typical computer users skill set. Just like high end users though, average users want maximum performance from their machines as well – if they only knew how. Luckily, there are applications designed specifically for average users that take the “if they only knew how”, out of the equation. Applications that make it easy for a typical user to achieve the same level of high performance, as a techie. Despite the fact that I’m a huge fan of free software, I have to admit – there are times when only a commercial application will meet all of a typical users tune up needs, in one application. And that brings me to TuneUp Utilities 2011. I’ve been using TuneUp Utilities since 2003, and I’ve come to rely on it to help me get the very best out of all my machines. Despite the fact that I’m a huge fan of free software, there are times when only a commercial application will meet all of my needs in one interface. 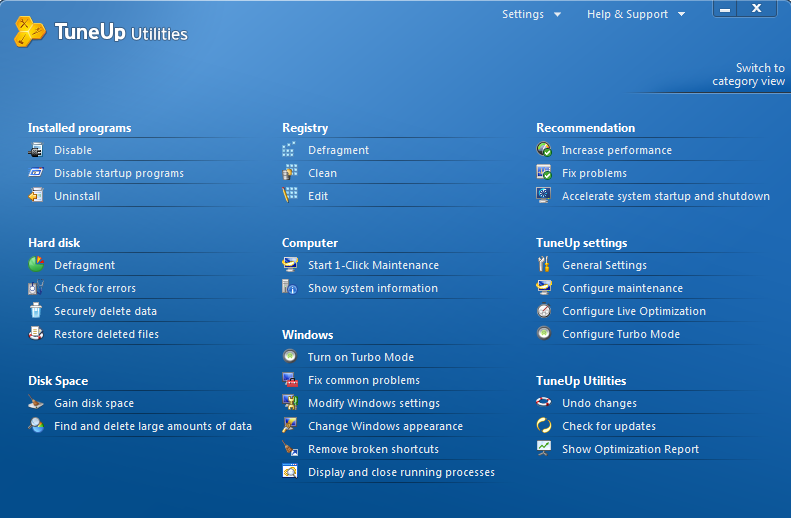 Let’s take a walkthrough to look at just some of the powerful features which are available in TuneUp Utilities 2011. Clicking on any screenshot will increase the size to the original. 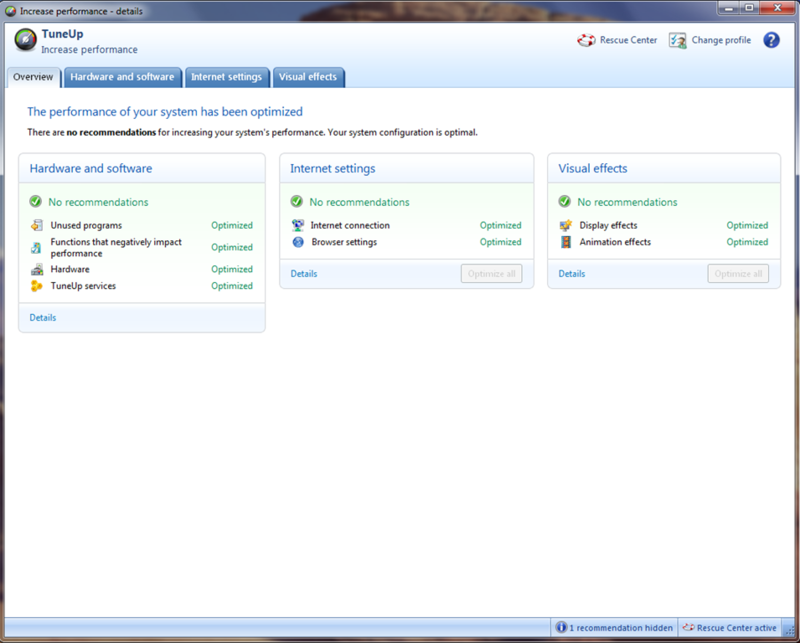 Following installation, you will have the opportunity to analyze your computer to search out issue that are negatively impact performance. When the analysis phase is completed, system issues that require action can be dealt with easily and quickly. All system issues have been fixed and all recommendations show green across the board. If you prefer not to go the automatic route, an abundance of applets (32 in total), are available to analyze and repair, maintain and improve, and configure the operating system, as the following screen capture shows. The “fix problems” applet shows here, that Windows Media Player presented a problem with my personal privacy on the test machine, which was easily fixed. 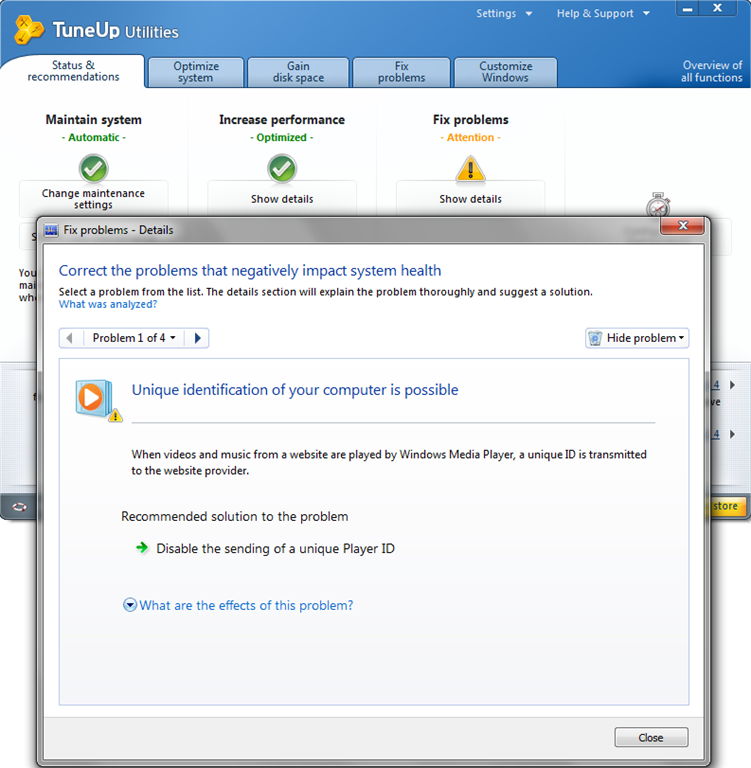 Common computer problems are a snap for TuneUp Utilities 2011 to deal with. Simply select the problem, and in a couple of clicks the issue is resolved. Customizing Windows to get that “just you” look, couldn’t be easier. Virtually every Windows element can be customized. For this test, I set TuneUp utilities to run once every 3 days, and after 9 days of operation you can see from the screen shot, the machine remains fully optimized. TuneUp Program Deactivator with TuneUp Programs-on-Demand Technology – For the first time ever, you can turn off programs completely and drastically reduce the load on your PC: The services, startup entries, background processes, or scheduled tasks in a program that are turned off will remain inactive until you need them again. TuneUp Start Center – Thanks to the fresh look of the Start Center, users will find all optimization features in seconds: Features stand out more clearly as they are now divided into five categories for maximum readability and immediate access. 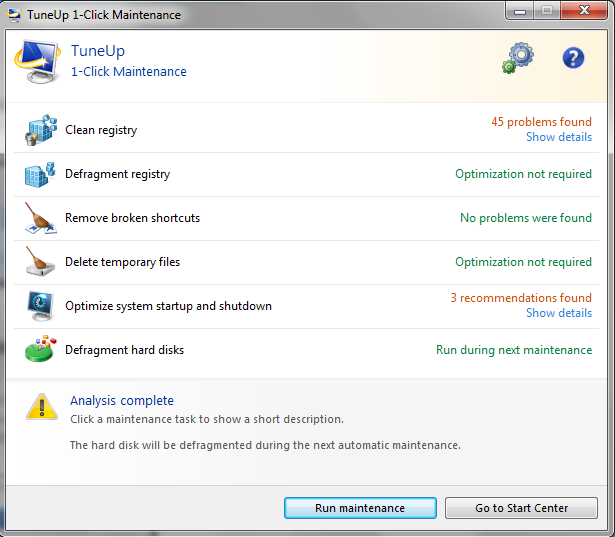 TuneUp Utilities tuning highlights appear immediately under the categories of “Status & recommendations”, “Optimize system”, “Gain disk space”, “Fix problems”, and “Customize Windows”. 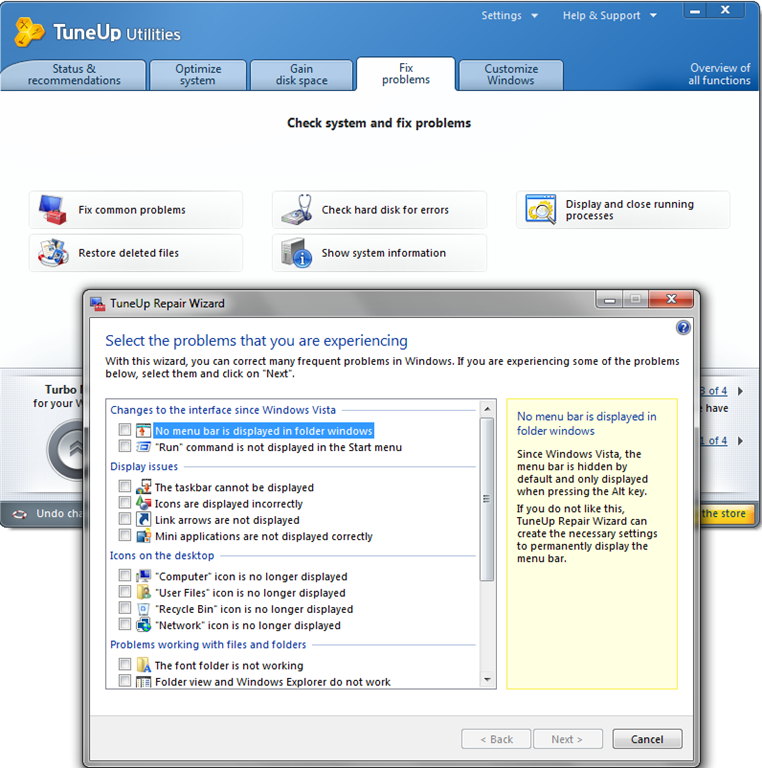 TuneUp Turbo Mode – With a single mouse ‐click, shut down over 70 background processes that slow down Windows 7, Windows XP, and Windows Vista. By pressing a button, you get an immediate boost of power when working at your PC, a smoother gameplay, and complete control over background activities that slow down your computer. Tuning status – Tuning status shows how many optimizations have already been performed with TuneUp Utilities, and what potential for optimization still remains. You will never forget or overlook a single tuning measure again! Rating function for programs – The experiences of countless TuneUp Utilities users help you make the best tuning decisions. Windows performs best and is most effective when you turn off programs, deactivate startup entries and/or uninstall third‐party software that you don’t need on a daily basis. But it’s often unclear what lies behind a cryptic program entry. The new rating functions supports you here to make better decisions on each program. Overview of all functions pane – Made for true Windows experts: The new “Overview of all functions” view on the Start Center gives you instant access to all TuneUp Utilities™ features and settings—32 in total! As with previous reviews of TuneUp Utilities, I could go on and on describing the additional features that are included in this terrific application but, I think you get the point. This program is overwhelmingly inclusive, and provides virtually every tool and applet, that an average computer user is ever likely to need. Is it worth $49.95 for a 3 machine (many of us have more than one computer), license? In my view the answer is a definite – yes. 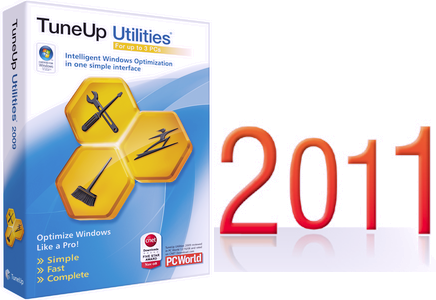 TuneUp Utilities 2011 is easier to use than ever, is overwhelmingly inclusive, and provides virtually every tool and applet, that an average computer user is ever likely to need. Take a free test run on TuneUp Utilities 2011 for 15 days, and see if you don’t agree that this is one commercial application that offers excellent value. System requirements: Windows 7, Windows Vista, Windows XP (all 64 bit compatible). We are now officially in the “Holiday Season”, so along with those visions of sugar plum fairies dancing in your head, you just might have visions of a super hot, quad core beast, that you can rip the wrapping off of after Santa has dropped down your chimney. So if you’ve been good this year, and Santa does drop off that new screaming machine, no doubt you’ll want to put it through its paces right away. But before you test drive this new machine, there are some fundamental precautions you need to take before you connect to the Internet. Comodo Firewall (last updated November 11, 2010), protects your system by defeating hackers and restricting unauthorized programs from accessing the Internet. I ran with this application for 18 months during a long term test, and I felt very secure. Having tested this application for more than six months I was impressed with its performance. It installed easily, set up quickly, and did not caused any conflicts on my test machine despite my sometimes esoteric running requirements. The default settings are well thought out, and provide excellent protection for less experience users. Immunet Protect is a lightweight cloud based antivirus application, (available in both a free, and a fee version), designed to add a layer of protection while working in partnership with the most popular antimalware solutions. You’ll find Immunet Protect straightforward to install, and easy to run without complication. Microsoft Security Essentials, which incorporates antivirus, antispyware and rootkit protection, all under one roof, was released by Microsoft last year as a free replacement application for Windows Live OneCare. Microsoft Security Essentials is easy to set up and run, particularly for new users. And, the interface is positively simple offering Quick Scan, Full Scan, or Custom Scan. 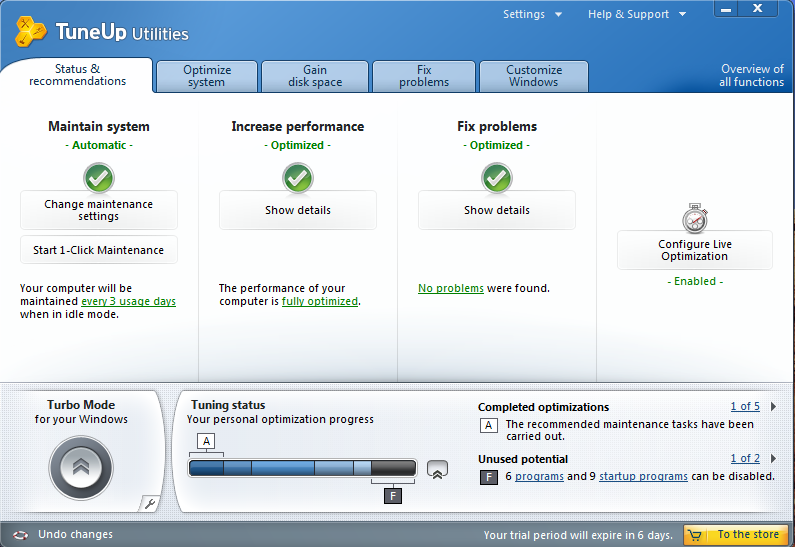 TuneUp Utilities 2011 – Five License Giveaway! I’m stepping back slightly from what I said earlier this year in “Software License Giveaways – Go Big Or Go Home”, and instead, I will continue to host license giveaways for applications from mature software developers. The type of applications that have real value for an average user.